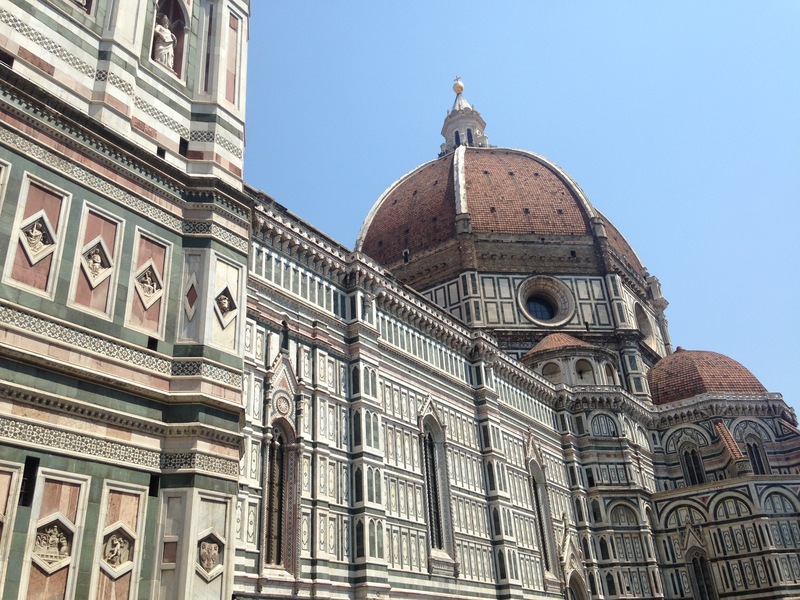 Day 3 in Florence and Galleria dell’ Academia was on our list that morning. Before heading in, the number of people sitting down in front of the museum drawing and painting surprised me so much! 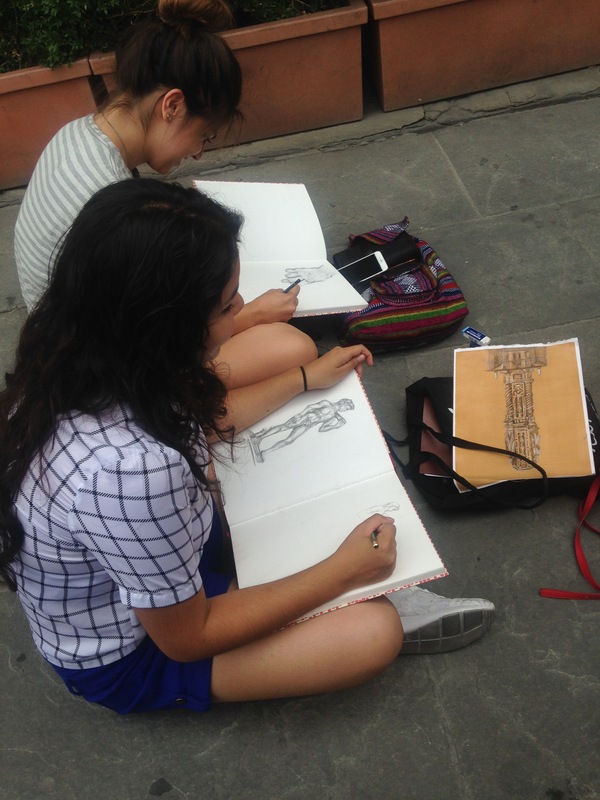 There were many hundred girls and boys with pens all around just drawing. 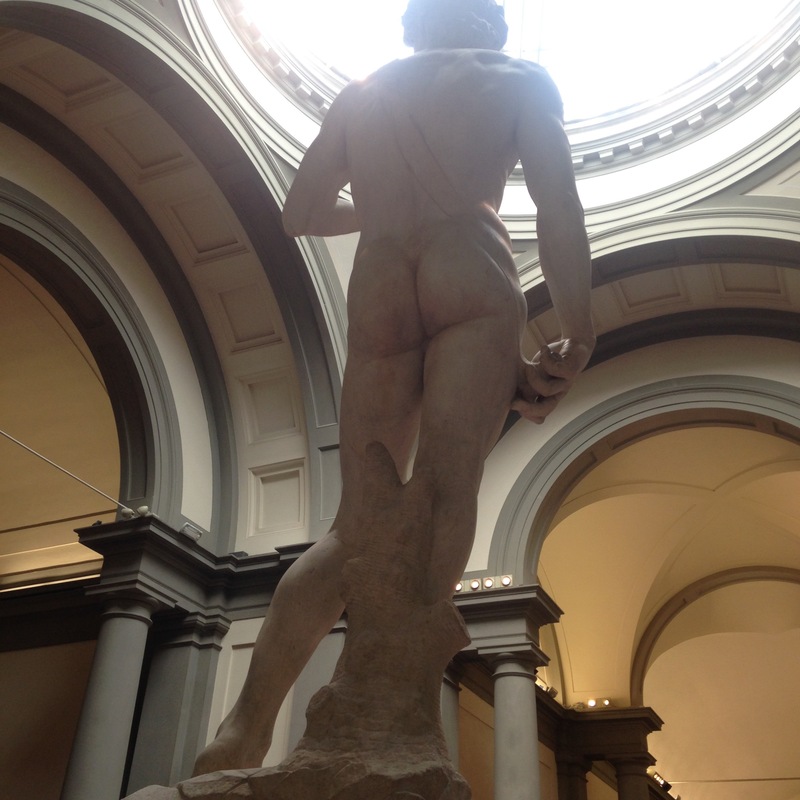 I was so excited to finally see Michael Angelo’s David since I studied it in my Art History classes. Ah! Walking in the room and seeing it in real after having looked at pictures of it for a full semester left me speechless! The height of the sculpture was shocking! It was so big, tall and muscular, truly a masterpiece. 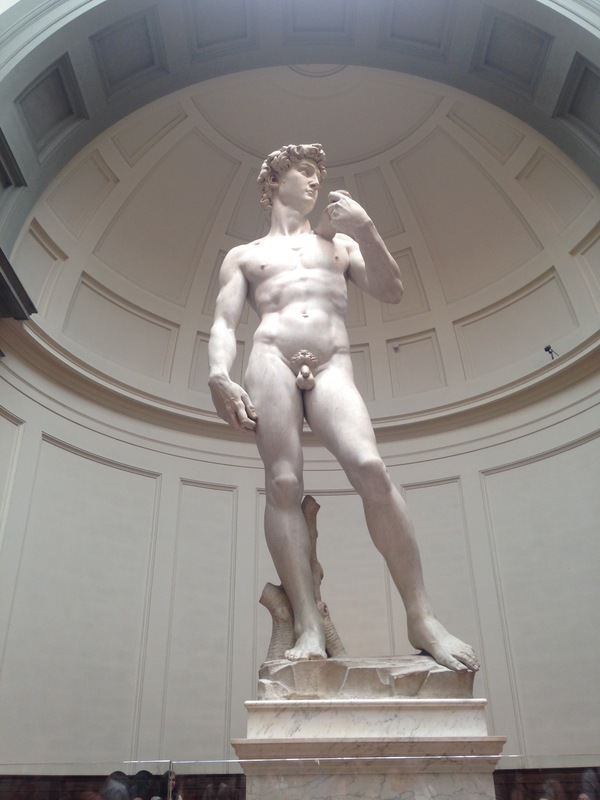 From head to toes, David was sculptured perfectly, really representing the perfect man, exactly the story Michael Angelo wanted to project for everyone. 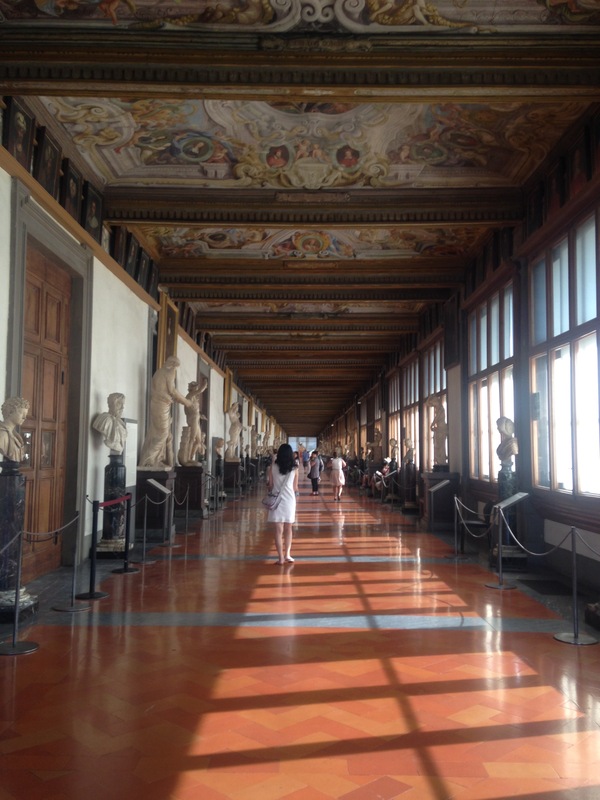 Afterwards, we visited the Uffizi gallery. 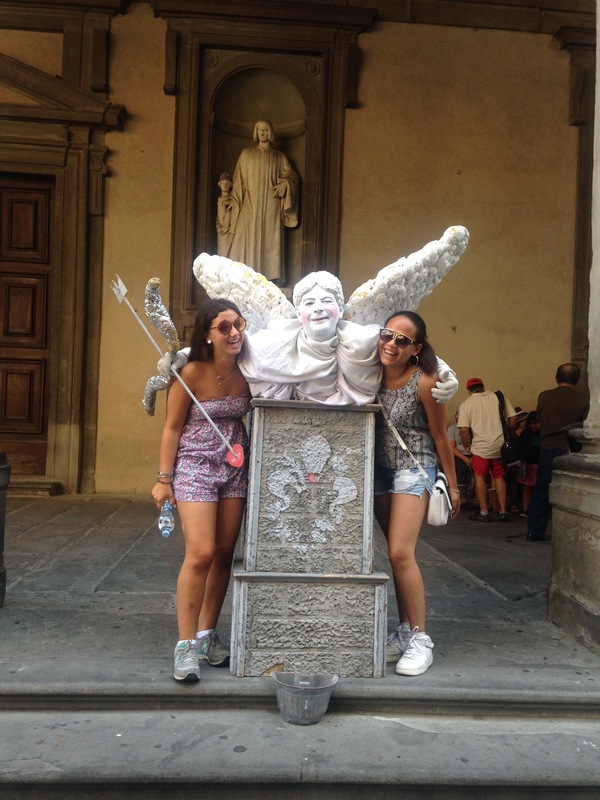 We really thought the art would be cool and all but I guess only a few pieces were interesting for us. This left us just skipping mostly everything from then museum. We, of course, got pastas for lunch and these were the best we had so far! 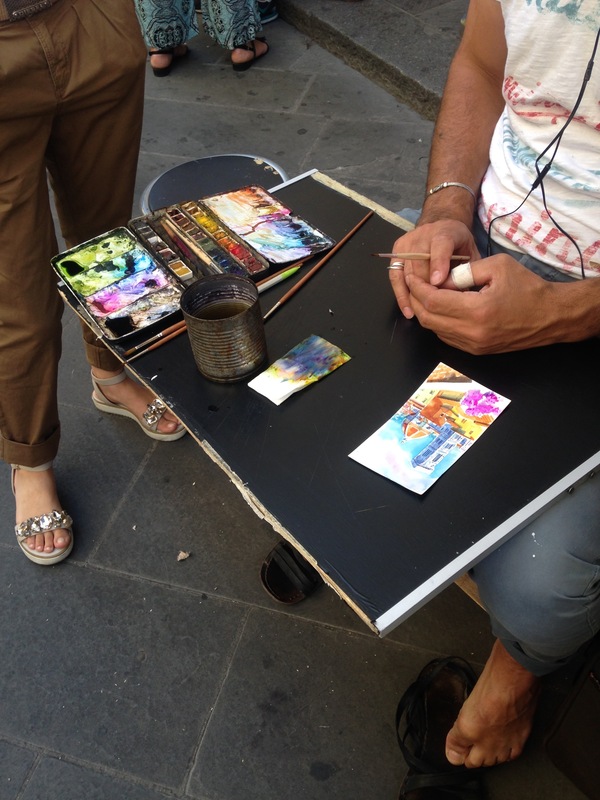 Located right in the centre of Florence, the restaurant had a terrace and a really good service. 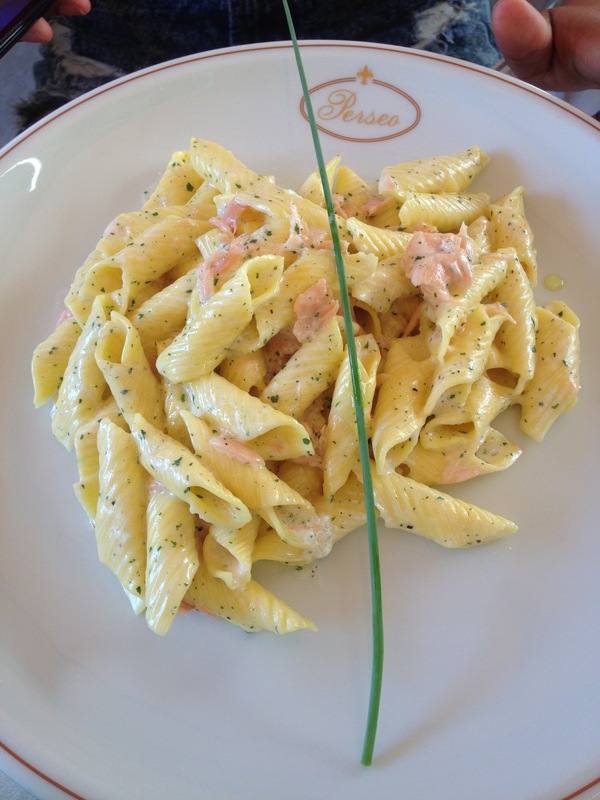 The salmon penne pastas were to die for! 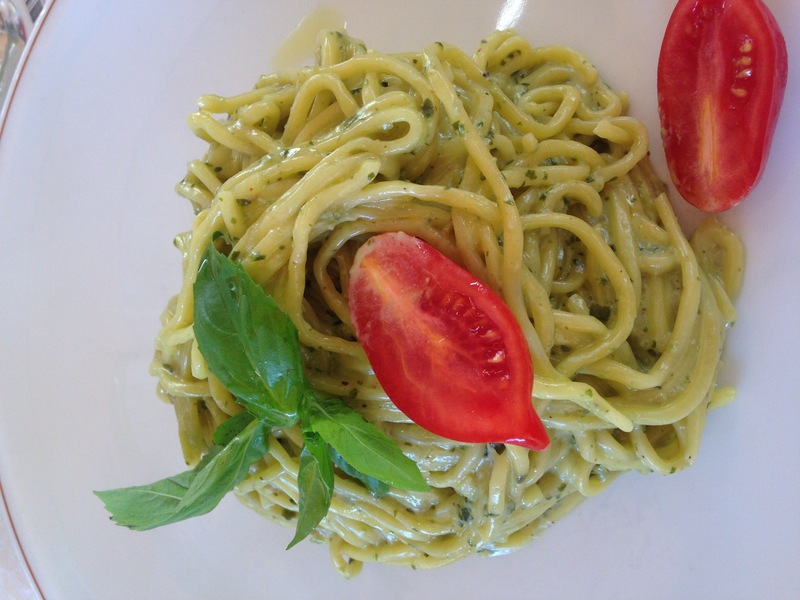 The pestos pastas were also as good, best lunch so far! 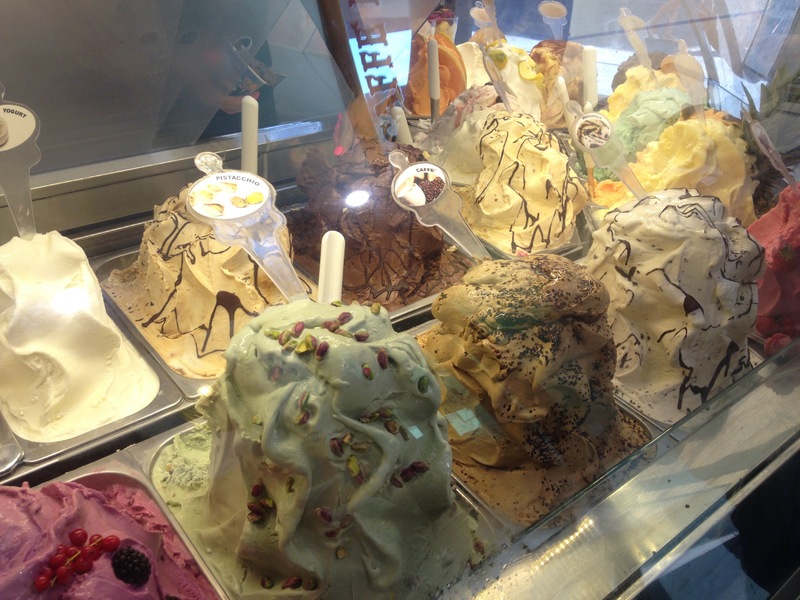 And last but not least, we had gelato and I couldn’t resist taking pictures of the huge mountains of gelato the shops had. I truly wish I could just eat all of it! 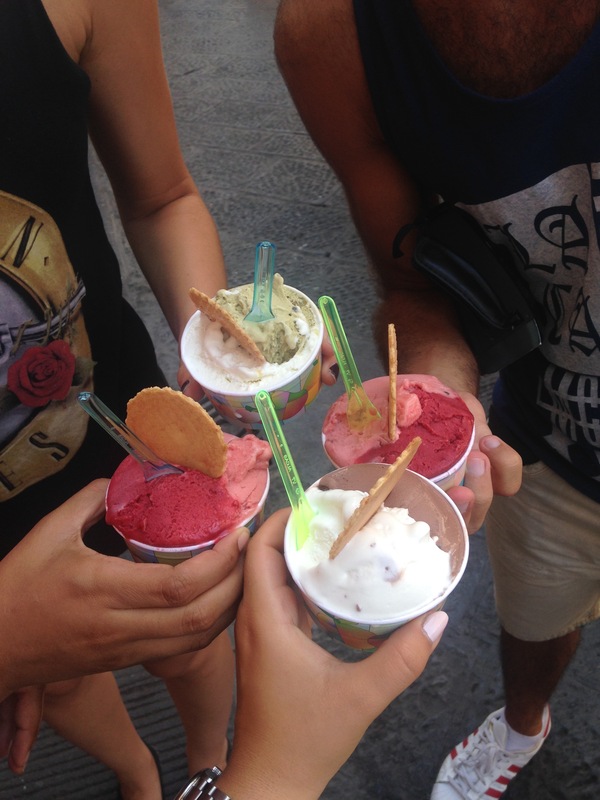 Have you had gelato in Florence before? 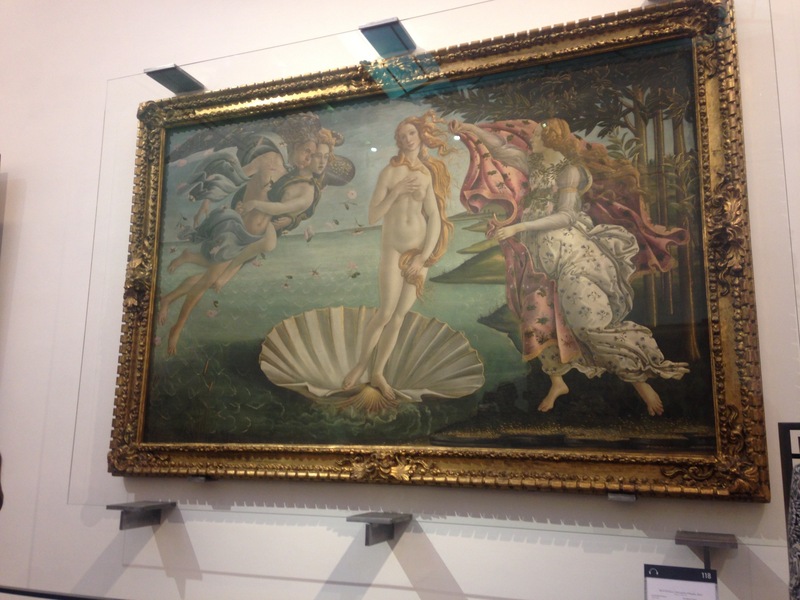 Oh how I love visiting museums! 🙂 Those snacks look some good! Yum! Hope you had fun! Do you have a spam issue on this site; I also am a blogger, and I was wanting to know your situation; many of us have developed some nice procedures and we are looking to swap techniques with others, be sure to shoot me an e-mail if interested.